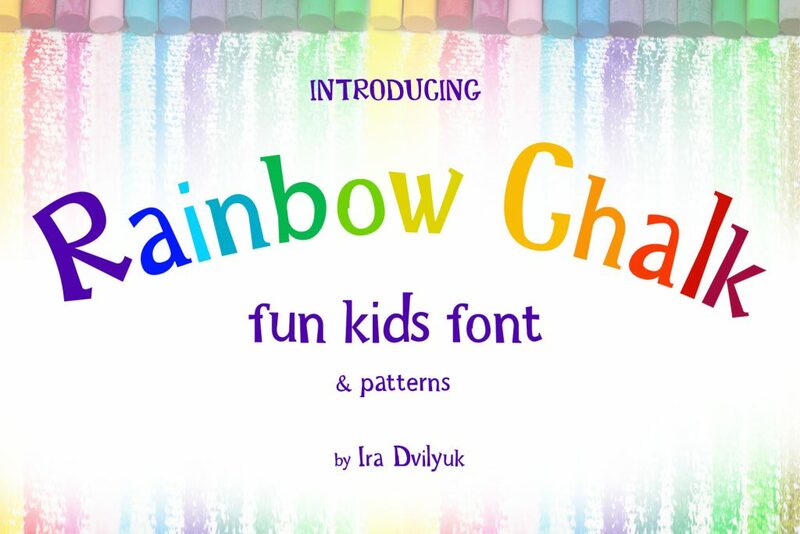 Rainbow Chalk is playful serif fun kid’s font and it contains the uppercase and lowercase letters, a large range of numerals and punctuation. The Rainbow Chalk font will be perfect for use in all your fun design projects be it logos, labels, packaging design, blog headlines. Also, it will look great on mugs, cards, kids books headlines or other typographic projects. character set: ÁÂÄÀÅÃÆÇÐÉÊËÈÍÎÏÌÑÓÔÖÒØÕŒÞÚÛÜÙẂŴẄẀÝŶŸỲ áâäàåãæçðéêëèíîïìñóôöòøõœþßúûüùẃŵẅẁýŷÿỳ and more. I hope you love it and if you have any question, feel free to contact me via personal message or leave a message under this text. A font family published by Ira Dvilyuk on Wednesday, March 27th, 2019 that has 197 views so far.